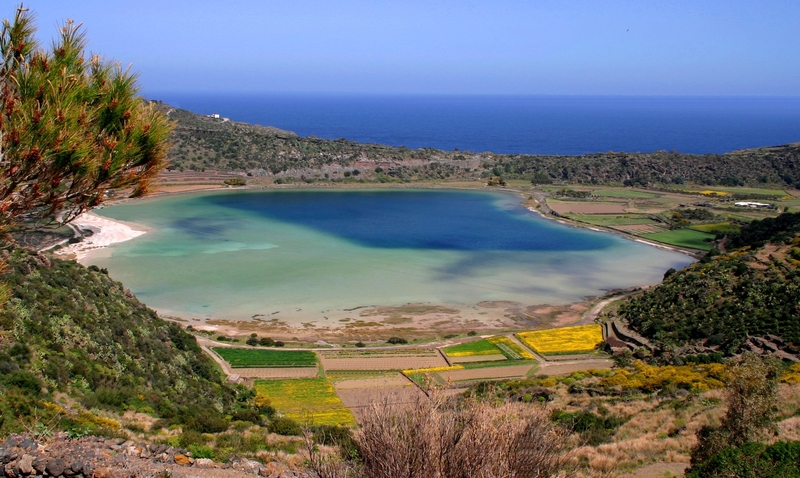 Pantelleria is an island of the Pelagie, far 80 kilometers south from Sicily and 60 km from the coast of Tunisia. Because of its volcanic origined still presents interesting phenomena of secondary volcanism, mainly hot water, smokes and the sludge of the Lake of Venus. Its highest peak is the Big Mountain with its 836 m above sea level. 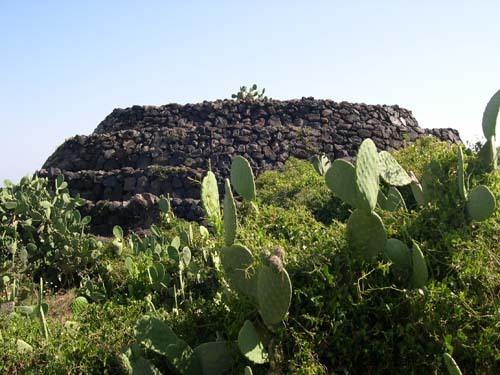 Other lower peaks, volcanic cones, which here are called Kuddie, make the landscape unique: a blend of the wilderness created by lava flows and the Mediterranean vegetation. Camouflaged in the landscape glimpsed the white domes of dammusi, farm buildings with thick stone walls, cubic and round arch openings, perfect examples of bio-climatic architecture.The warm climate is tempered by very strong sea winds that justify the title given to her by the Arabs Ben-el-ria (Daughter of the Wind). The scarcity of water does not favor the development of big vegetation areas. 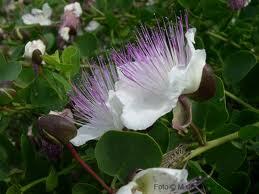 It grows naturally a variety of capers from Pantelleria said, one of the main crops of the island.The Arabs inroduced citrus trees in local agriculture, cultivated with care and protected from wind within the walls of Pantelleria gardens, buildings cylindrical masonry lava stone. 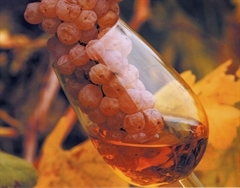 The volcanic soil promotes the growth of varieties suited to producing wines with good alcohol content, very popular Moscato of Pantelleria and Passito made from the dried raisin in the sun. Its traditional cuisine offers a unique opportunity to taste a lots of poor dishes based on fish and vegetables, in which the island abounds, that with bran are main ingrendients of cous-cous, the main delicacies of the island. 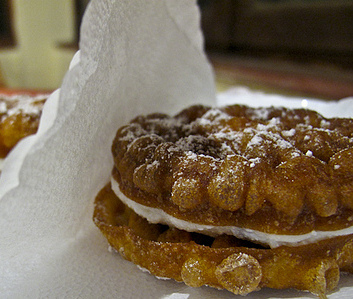 Especially popular local ricotta,that is one of ingredient of typical desserts called Baci, and cheese, Tumma, both sweet and salted. 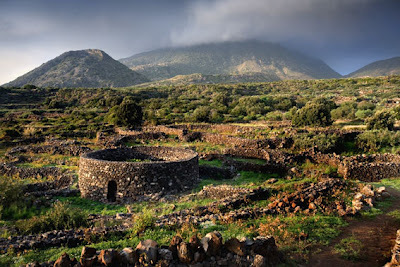 For Archaelogy follower, and not, are visitable today in Murcia's archaeological site a type of large tholos tombs, called Sesi, belonging to the first village of Sesioti, population of Spanish-Ligurian origin that settled in Pantelleria in 2000 BC.